There are many ways you can improve your home’s air quality. Installing a high-efficiency filter or a whole house air cleaner, for example, is a great way to remove the pollutants in your air that cycle through your HVAC system. But filtration is only one way to improve air quality. 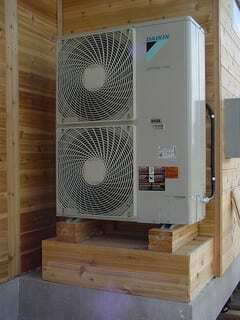 If you want the highest-quality air in your home, you should also have a method of ventilation. An energy recovery ventilator is the perfect solution. Today we’re going to talk about why ventilation in our homes is necessary and how you can benefit from installing an energy recovery ventilator!